While it's only a matter of time before algorithms can do our jobs, recent AI breakthroughs have all required humans in some way. The creative and advertising industries are built on experts. Pretty much every industry is.In fact, every part of life – society, education and even mastering a tricky cheesecake you saw on The Great British Bake Off – is based on expertise. To be more specific, it’s about learning from experience and putting it into practice. Speaking of experts – meet Lucy. Lucy designs ads. Lucy is awesome at designing ads and reads all the magazines (just for the ads), scours the internet in her spare time (for the latest ads) and even keeps a nerdy list of her favourite ads. Lucy’s ever-expanding knowledge of ads means she really knows what works. She’s an expert. The company she works for really values Lucy. When a new client asks for a new ad, they ask Lucy. She’ll steer them in the right direction. Now re-read that last paragraph but replace "Lucy" with "a machine-learning algorithm". That’s where advertising is going. Machine-learning (some opt for the cooler label "artificial intelligence") is really quite simple. You feed it a load of reference material and tell it what success looks like. All it wants is for that success score to go up. It doesn’t care what reference comes in or even what it means, just as long as it tries something new and success goes up. For example, Google has an AI called DeepMind. 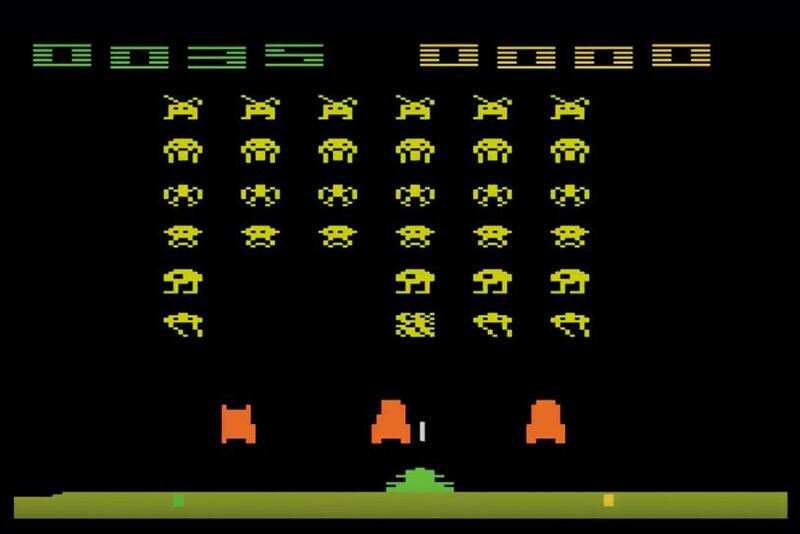 Last year, it fed DeepMind video input from an Atari 2600 games console. Google set "score" as the measure of success and left DeepMind to it… for two weeks. Yep, DeepMind learned to play games, all by itself, with no training or programming. In one game, it regularly scored 75% more than an expert human player. It did this with another 48 games too. It all sounds a bit "nerds in rooms at MIT" but it’s trickling down faster than you think. How will this be useful to us on a practical level? Glad you asked… Imagine feeding all the best (and, ideally, worst) ads into a machine-learning algorithm. Success is "products sold" or "increased company profit". The algorithm can then work out the traits of an effective ad. This applies to the structure, the headline, the offer and the music, by the way. Imagine feeding all the best (and, ideally, worst) ads into a machine-learning algorithm. Success is ‘products sold’ or ‘increased company profit’. The algorithm can then work out the traits of an effective ad. 20th Century Fox and IBM had a crack at it with their recent theatrical trailer for Morgan. The algorithm told them what the DNA of a good thriller trailer was and a real person used it as a guide to cut the trailer. Speaking of music, if you feed it enough music and give sales or downloads as the success criteria, it can compose the tracks for you. This self-compensates for tracks sounding too samey, as similar songs won’t be as successful. It’s a self-learning system. Sony released its first generated track a few months back, a jaunty number called Daddy’s Car. It’s not actually that bad. It can go another level deeper. Feed it enough human speech and use "words understood by humans" as the success and it can learn to generate its own voiceovers. Adobe has just demoed software called Project VoCo that listens to 20 minutes of a voiceover artist and then mimics it, speaking new words. Imagine being able to add George Clooney’s voiceover to any ad live, personalising the script to each user. Want one more? The unlikely bedfellows of Microsoft and ING teamed up earlier this year to analyse all of Rembrandt’s paintings. The algorithm figured out what it was to truly be a Rembrandt painting… and painted a new one. "The next Rembrandt" is stunning. If it can work on a Rembrandt, it’s not long before it will work on your quarter-page ad in the Telegraph. We’re doomed, right? How can we compete with machine-learning? Well, the good news is that all of the examples above needed humans. Sure, your perfect trailer may have a blueprint created by AI, but you still need people to actually make it. We’ve been here endless times before: when computers arrived, when the internet arrived, when CGI cats replaced real ones in cat-food ads. Hell, the theatre industry went through this when the TV arrived. We move sideways, we adapt to the new tools and insight at our disposal. Machine-learning isn’t going anywhere. The fact is that it morphs and evolves with us, as the success criteria fundamentally separate it from previous formula-driven systems. It wants us to like what it suggests. We can give it a name – call it Lucy if that helps. She shines a light on areas we would never even think to explore and gently nudges us out of our comfort zones. Used wisely, and sensitively, Lucy sounds like an expert worth listening to. Dino Burbidge is the director of technology and innovation at WCRS.